Property is beautiful! Hostess is fantastic! And the fresh fruit! The bungalow is exceptionally clean and new. The kitchen and bathroom is well equipped. The hosts (owner) are very welcoming and helpful, they picked us up and dropped us off to the airport. 10 minutes walk/ 3 mins drive from city centre. p.s. very friendly pets. I'll definitely recommend everyone to stay here. The property owners met me at the airport and showed me the property and all I needed. Fantastic. The bungalows are attractive and a good size. The hosts are friendly and gave a useful tour of the town on arrival at the airport. The hosts were excellent, we were greeted by them at the airport and they were kind enough to transport us to the bungalow. 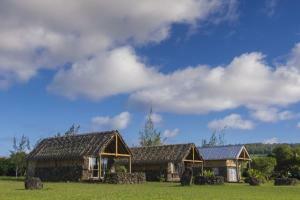 We spent a short time in Easter Island, but would have been happy to stay longer at the bungalow. 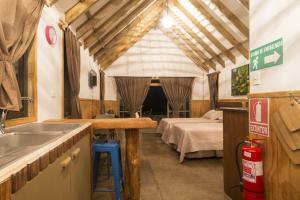 Has a small kitchenette, comfortable bed, and complete bathroom. Las cabañas son espectaculares, las camas impecables y confortables. Ambiente calido, la família muy amable. Atenta y preocupada siempre de que te sientas comodo. 100 % recomendable. 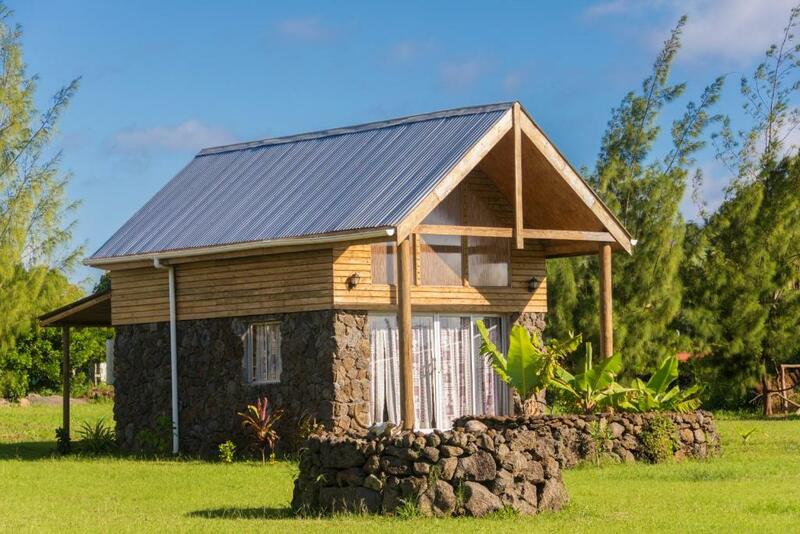 Lista para viajar de nuevo y alojarme en el Pacific Bungalows. Muy buenas instalaciones, superan lo que muestran las fotos, ubicación y sobre todo la gentileza de Lya y Hugo. La communication avec les hôtes a été parfaite et leur accueil plus qu'excellent ! Les propriétaires sont disponibles, très agréables et font le maximum pour que vous passiez un magnifique séjour chez eux et sur leur ile. Ils nous ont donné de précieux conseils pour nos excursions et de bonnes adresses de restaurants. Les bungalows sont beaux, bien aménagés et décorés avec goût. Ils disposent de tout l'équipement nécessaire pour ce type de séjour. Le jardin est arboré et bien entretenu. Allez-y sans hésitation ! Très bel accueil de la part des propriétaires qui viennent vous chercher à l’aéroport et vous font un tour du centre et vous indiquent les bonnes adresses (prendre des notes!) Notre bungalow était spacieux, impeccable et décoré avec goût. Literie très confortable! Des serviettes de plage sont fournies. Voisinage très calme. Lock in a great price for Pacific Bungalows – rated 9.5 by recent guests! 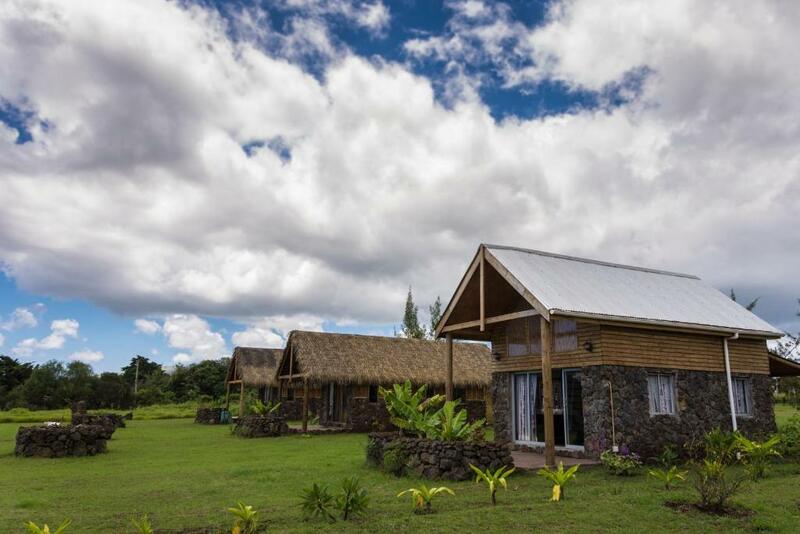 Offering a terrace and views of the garden, Pacific Bungalows is located in Hanga Roa in the Easter Island Region. Tahai is 1.1 mi away. Free private parking is available on site. The accommodations comes with a flat-screen TV. There is also a kitchenette, equipped with a microwave and toaster. A fridge and kettle are also provided. Each unit features a private bathroom with a shower. Towels are offered. Shuttle from and to the airport is included. 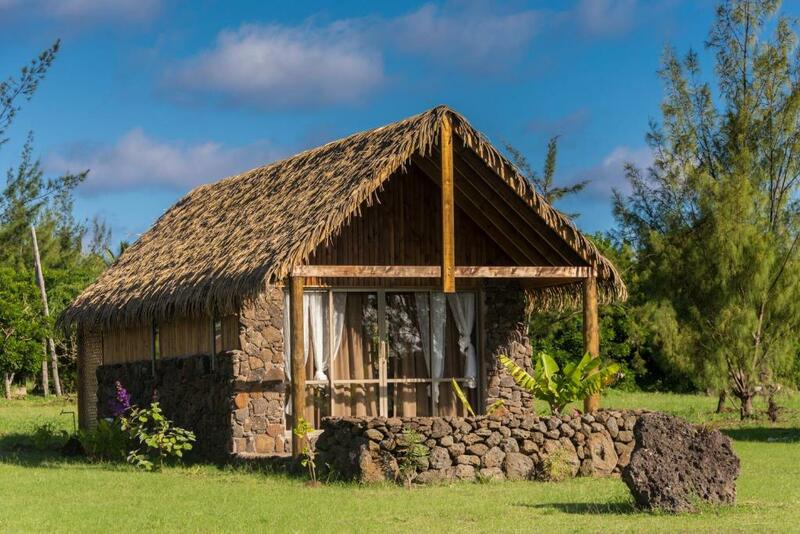 Hanga Roa Anthropological Museum is 1.3 mi from Pacific Bungalows. 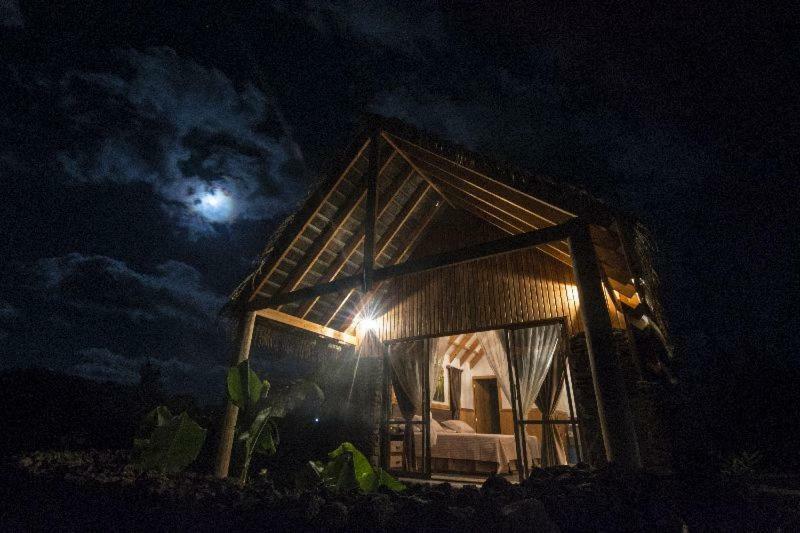 The nearest airport is Mataveri International Airport, 0.6 mi from Pacific Bungalows. When would you like to stay at Pacific Bungalows? House Rules Pacific Bungalows takes special requests – add in the next step! Shuttle from and to the airport is included. Please inform Pacific Bungalows of your expected arrival time in advance. You can use the Special Requests box when booking, or contact the property directly using the contact details in your confirmation. The location is not central in hanga roa. 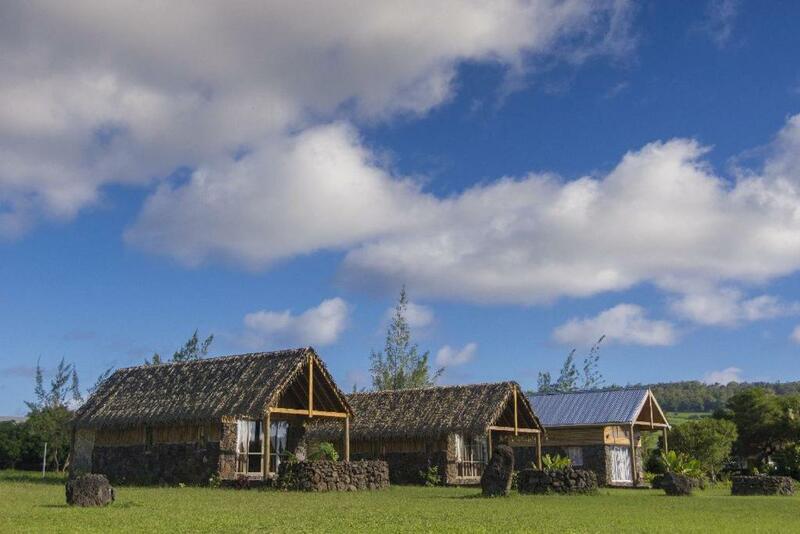 This is fairly expensive accommodation in Hanga Roa and it would be nice to have a bottle of water in the bungalow on arrival. The rooms should be cleaned during the stay. 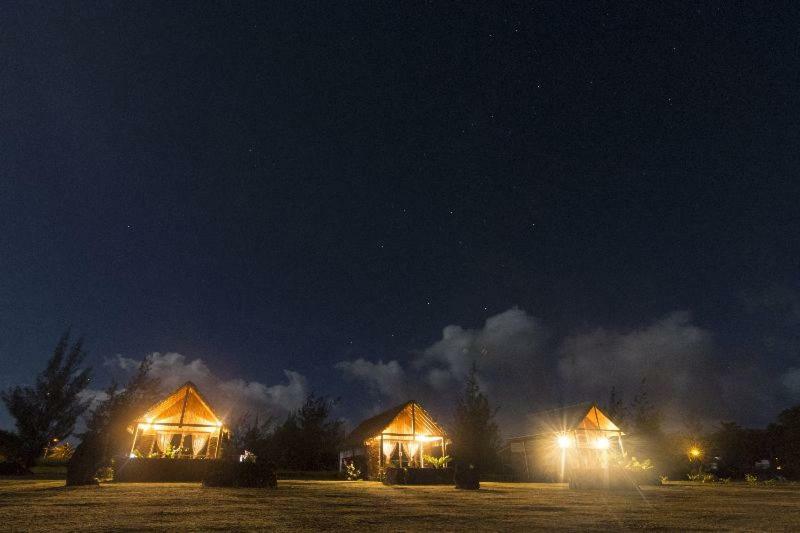 Finally, I acknowledge that the booking page specified no card payments but this needs to be made clearer at the start of the stay as getting hold of large amounts of money in Hanga Roa is not easy!